The permanent exhibition presents highlights from the history of Valkenburg and surroundings. The red thread in it is ‘marl’, the sand-lime brick that is so characteristic of this region. The exhibition begins in the Cretaceous period, in which circumstances allow marl to emerge, and continues until the 19th and 20th centuries with tourism and marl architecture of, among others, Pierre Cuypers. In the Cretaceous period, about 60 million years ago, South Limburg was part of the sea. Residues of marine animals formed a thick layer of chalk or chalk on the seabed for millions of years. 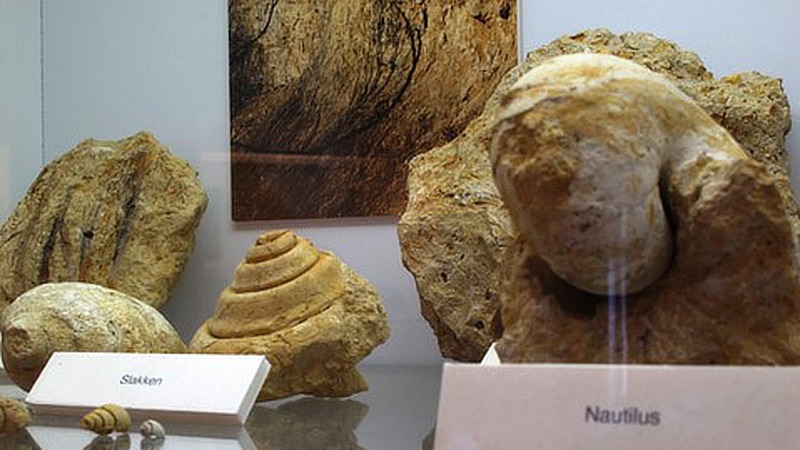 Beautiful fossils from the museum collection prove how special life was, well before the arrival of man. In the prehistoric New Stone Age, about 5000 years ago, South Limburg was a wooded hilly landscape and people lived there. They used flint for axes and other utensils. This flint was extracted from the chalk layers in small mines. The museum shows how they did and what they made. In the course of the Middle Ages Valkenburg got its shape as a town, with a unique limestone height and fortifications. This limestone or marl was extracted in the marl quarries. The glorious view of Valkenburg at this time can be seen in the museum in paintings and prints. The beginning of the 19th century is the beginning of tourism in Valkenburg and surroundings. The ruin of the height, the historic center and the marl quarries form a romantic setting for countless tourists. Painters and photographers discover Valkenburg and the special marl construction works of this town. Pierre Cuypers, the architect of the Central Station and the Rijksmuseum in Amsterdam, in Valkenburg leaves a few buildings in marls, which partly determine the historic atmosphere of the area. 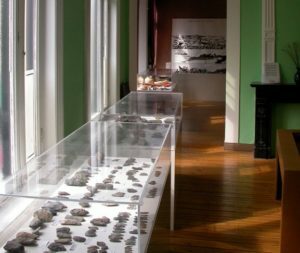 The fossils and rocks of the geology collection give a complete picture of the geological history of South Limburg. The Cretaceous period is the strongest represented, but also from Devonian, Carboniferous, Oligocene, Pleistocene and Holocene. Special are the collection of prehistoric flint axes, blades and scrapers and the collection of medieval earthenware pots, jugs and cups. In the immediate vicinity of the museum are unique remnants of flint mines from the New Stone Age and the ruin of the once powerful castle of Valkenburg.